Servers | KGS | "Blackie" 9p plays on KGS: a surprising half point defeat! "Blackie" 9p plays on KGS: a surprising half point defeat! 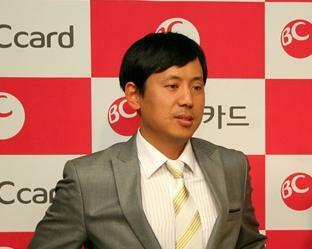 BIBA2011 [9p] is "Blackie" (Kim Seung-jun, 9-dan pro), headmaster of the International Baduk Academy (in Korea), and still an active pro (he is "currently in the best 16th of the BC Card World Championship"). Blackie sometimes plays friendship games on KGS to promote BIBA, so keep an eye (or two) on him! The game that you can see here was by far the most exciting one. Blackie's opponent was lsai, who is also a professional (Hu Shuai, 3p). In this game, a modern joseki in the bottom-right corner gave rise to a hard battle that lasted the whole game. Most of the observers thought that Blackie would manage to win, but in the end lsai was victorious (he won by half a point)! Note: It is well-known that Blackie is not the first 9-dan pro to have an account on KGS. The very famous Jiang Zhujiu (Chinese 9p) used to teach on KGS as jujo, and Feng Yun 9p also has a teaching account there (mumu). The strongest professional KGS ever had was almost certainly Chen Yaoye (at the time 5-dan pro), but he rarely used his account (chenyaoye), so probably we can say that Kim Seung-jun 9p (BIBA2011) is the strongest pro who has ever played on KGS. Cho Chikun used to play as "Pineapple" on IGS (not KGS). you said "the strongest pro who has ever played on KGS. But wasnt legendary Cho Chikun was playing with "pineapple" account in KGS? You may remember sabu 9p, who was teaching on KGS a couple of years ago. There is an article about him on gosensations.